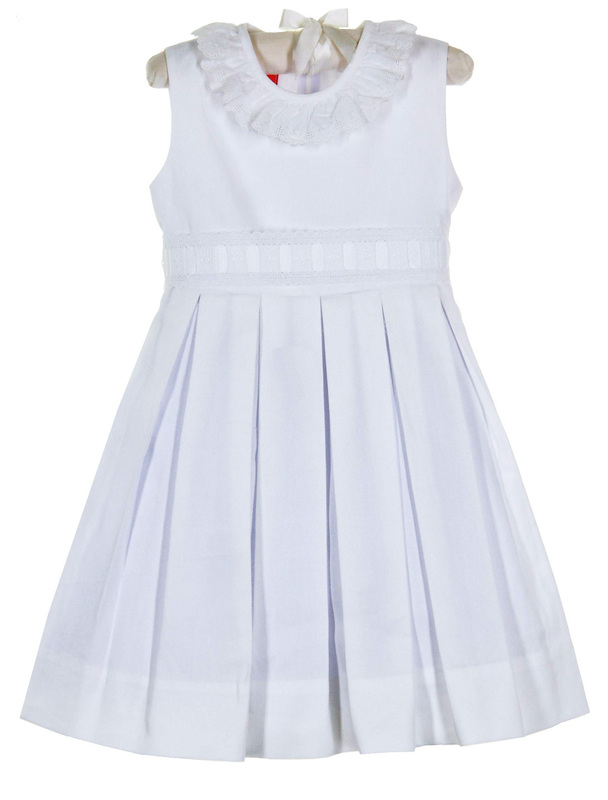 This white cotton pique dress is made by Claire & Charlie, a division of Anavini. 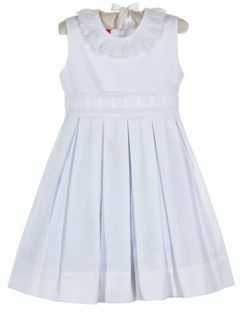 The sleeveless dress has a fitted waist with a front sash of white Swiss eyelet with white ribbon insertion. 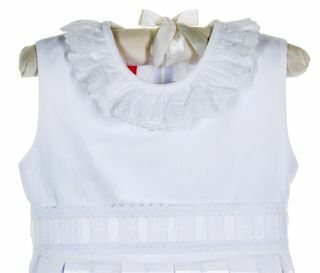 The neckline is finished with a ruffle of white Swiss eyelet lace. The dress is lined so no slip is needed. 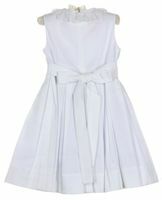 It has a back zippered closure with a white ribbon back sash. 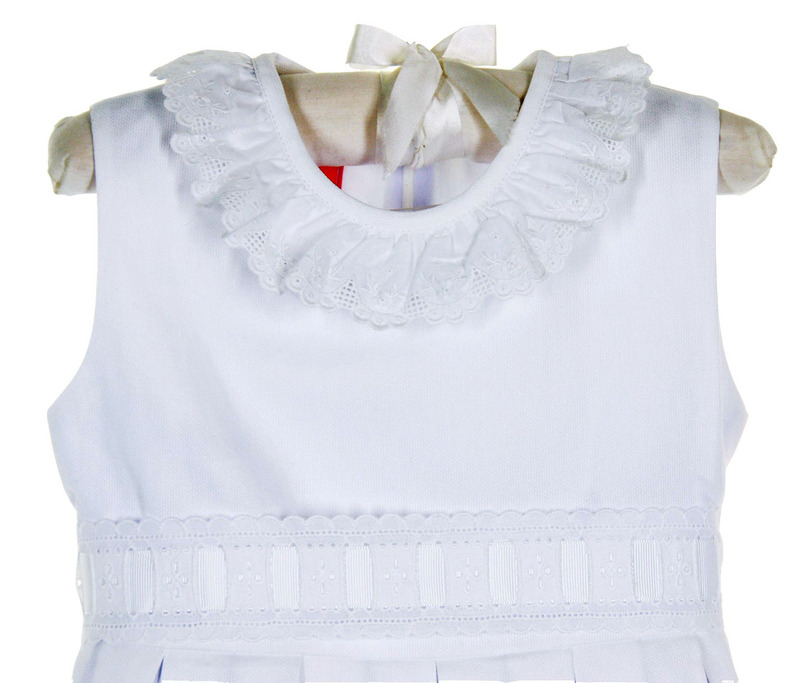 The perfect portrait, baptism, wedding, or Communion dress for your toddler or little girl! 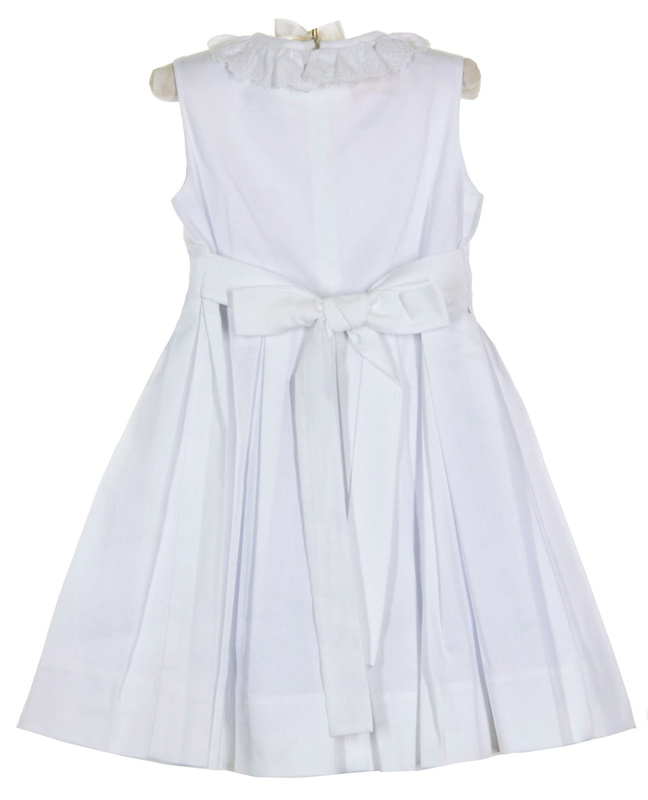 This lovely dress is also available in blue. See below.